Just whose heritage is to be cherished? Are governments going to regulate and how? We considered how the treatment of historic buildings might provide some insights into how automotive history could be treated more seriously. Exactly which “monuments” should be privileged? 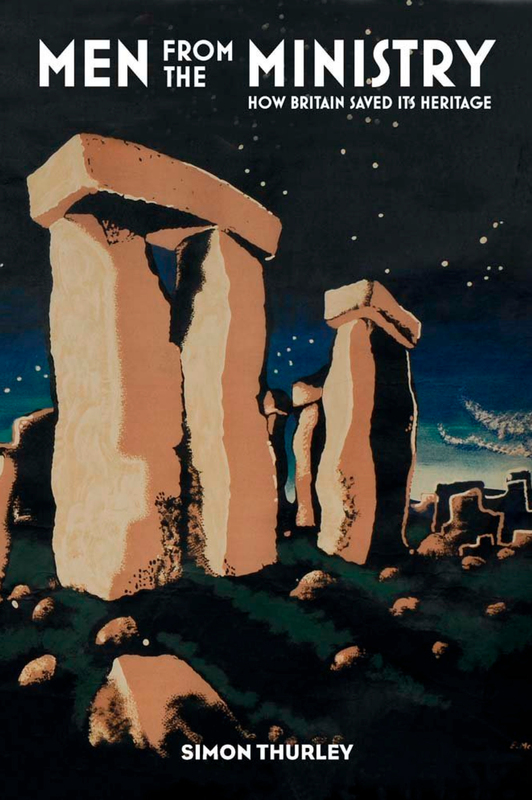 The first ones were either prehistoric or iconic, such as Stonehenge and the Tower of London; after that it was usually the buildings of the good and the great. This was partly because of the way history was presented then – from the “top” – and partly because the heads of and advisers to the department were invariably aristocrats. (To be fair, it was mainly the great houses and castles that had survived. Old elites could afford to build solid.) That was until Labour’s George Lansbury became the department’s ultimate boss (as commissioner of works) in 1929, and turned out to be surprisingly sympathetic to its mission, to the amusement of some Tories, who twitted him – “the revolutionary, the iconoclast” – with “propping up relics of feudalism”. (The answer to this sort of jibe, of course – and my response to those who disapprove of my love, as an agnostic, for ancient cathedrals – is that they were the work and expressions of the artistic aspirations of ordinary people. The church and aristocracy merely commissioned them.) But there was a case for extending the department’s “collection” to, for example, smaller houses, nonconformist chapels, townscapes, “lost villages”, industrial remains, and also to more recent structures, in line with new trends in history research and teaching; all of which were eventually taken on board, though a little tardily. Then there was the prickly question of what “preservation” should properly involve. Take an ivy-covered medieval ruin with later accretions. Should it be left as it is, and merely shored up: the “romantic” solution? Or de-ivied and then protected in that form? Or the accretions taken away to show how it looked earlier? And if so, how many accretions? Should we remove the perfectly good Tudor porch on an early English church, for example, to show what it looked like when it was first built? Should fallen stones be put back in place or not? Should gaps be replaced with modern materials, and if so, should they be disguised or en plein? And so on. Architects and antiquaries had been arguing over these matters since early Victorian times. You couldn’t please everyone. The men from the ministry changed tack on this over the years, finishing up, in the 1970s, with the pattern that is familiar to us today: minimal and plain restorations, historically accurate, but not particularly romantic (no ivy), set in tidy close-mown greenswards that are about as alien to the environs of medieval castles and abbeys as one could imagine. That marked what Thurley regards as the department’s highest point, and its most “expansionist” and “arrogant” – which hubris, he suggests, might have contributed to its downfall. Lastly, there were struggles with the Treasury over funding, and turf (or sward) wars with the part-complementary, part-rival National Trust. Overshadowing all these was the question of what exactly this great enterprise was for. At first it seemed to be mainly to delight upper- and middle-class antiquarians. It was they, however, who then dressed it up in the language of “national heritage”, which was an important conceptual shift, because it implied that the whole nation had a stake. (Lansbury agreed; it was his reason for calling his heritage work “practical socialism in action”. Of course, that was exactly what the landowners feared.) Thurley rates this stake very highly indeed. “English identity,” he claims, “is very closely bound up with the physicality of England”. The problem with this, of course, is that it can too easily buttress a conservative and even reactionary “identity”; but that depends on which monuments are showcased, and how. Most castles have dungeons. It might be a good idea to exhibit great houses in combination with the peasant hovels that serviced them, or an old industrial-revolution mill with its surrounding slum, as one Louisiana slaveowner’s mansion I once visited did by restoring and opening some slave cabins. Thurley suggests that Regent’s Park mosque might qualify for “heritage” status in time. As it happens, he is currently the chief executive of English Heritage. That gives one some hope that it won’t turn into a mere “business” – selling a nostalgic and sanitised view of past English glories to schoolchildren and foreign tourists – in its modern agency form.